With annual economic growth rates of over 10 percent and attractive investment conditions due to low infrastructural and labour costs, Ethiopia is eagerly trying to rise from the status of low-income to middle-income country in the next 10 years. Ethiopia, with some 94 million inhabitants, is the second most populous country in Africa after Nigeria, but it remains a predominantly rural country. Only 17.5 percent of the population lives in urban areas, mainly Addis Ababa. It is also one of the continent’s fastest growing economies. Between 2015 and 2018 growth is expected to average 7.3 percent, according to a recent study by the United Nations Industrial Development Organisation (UNIDO). While economic growth since 2006/2007 doubled per capita income to 550 dollars in 2012/13, and the percentage of people living below the national poverty line dropped from 38.9 in 2004 to 29.6 in 2011, government sources admit that eradication of poverty remains a compelling issue. The official target of rising to a middle-income country is considered to be realistic, but an East Asian diplomat accredited to the African Union in Addis Ababa says there is reason to be sceptical, partly because although the amount of foreign direct investment (FDI) rose from 0.5 percent in 2008 to 2 percent in 2013, investors continue to face trade constraints. According to UNIDO, these are mainly related to border-logistics. Djibouti, the main import-export seaport used by Ethiopia, is situated 781 km from Addis Ababa, which makes the cost of land transportation a critical factor. It is against this backdrop that UNIDO has chosen Ethiopia, along with Senegal, as a pilot country for its ambitious inclusive and sustainable industrial development (ISID) programme, which aims to achieve industrialisation in developing countries in order to eradicate poverty and create prosperity. According to UNIDO Director General Li Yong, “there is not a single country in the world which has reached a high state of economic and social development without having developed an advanced industrialised sector”. What distinguishes the ISID programme is that “current modes of industrialisation are neither fully inclusive nor properly sustainable”, he added. 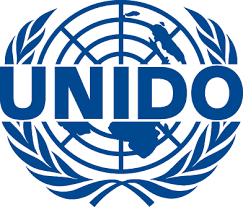 UNIDO is therefore not merely promoting industrialisation but trying to approach the needs and challenges of the globalised world that demand future-oriented concepts. Promoting the sustainability that should be inherent to industrialisation, UNIDO says that the ISID programme takes into account environmental factors together with its partner countries and organisations. It also fosters an industrialisation that is inclusive in sharing the benefits of the generated prosperity for all parties involved, thereby promoting social equality within populations as well as an equal distribution between men and women to ensure that nobody is excluded from the benefits of growth.